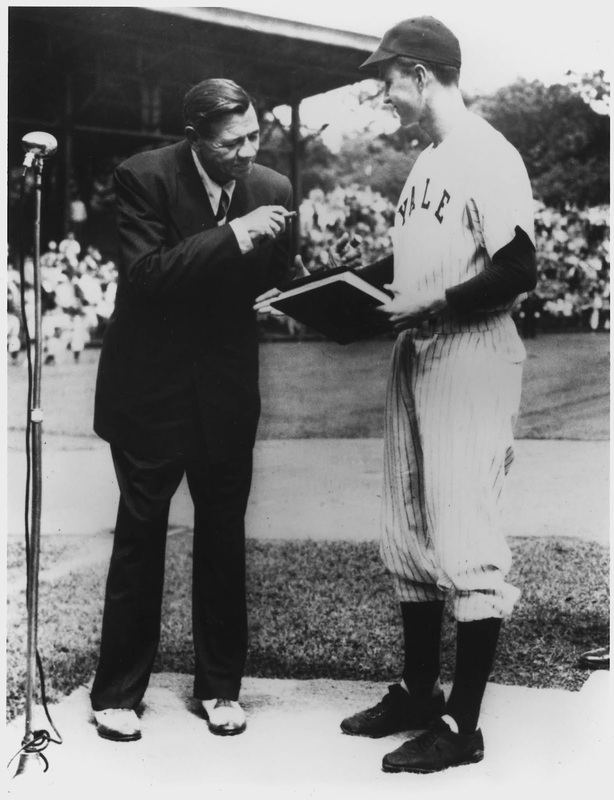 President George H. W. Bush’s leadership can be traced back to his days as the captain of Yale University’s baseball team. The first baseman led Yale to the 1948 College World Series against the University of Southern California. His diamond presence was evident even as a young man, demonstrated by how one opponent clearly remembered the President’s role in deciding the 1948 College World Series more than six decades later. In the first game of the series, Yale had USC pinned down with a narrow one-run lead when Bush scored on an early error. Mazmanian described how USC thwarted Yale’s attempts to advance their margin. USC entered the top of the ninth with their backs to the wall as Yale looked to close out the game. The Trojans showed their fighting spirit by scoring three runs in the top of the inning to set up a drama filled final frame. “In the top of the ninth we scored three runs, so we’re up 3-1,” he said. “They come up, and the first guy singled. The next guy walked, and then the next guy hit a shot off of our third baseman who was a very good fielder. He managed to knock it down, but everyone was safe. It was now bases loaded and nobody out. The Yale base-running gaffe may have ultimately cost the Bulldogs the National Championship, as the Bulldogs won the second game 8-3, before dropping the deciding contest 9-2. Mazmanian, who led the series in hitting (6-11), revealed that the future President was left stranded on-deck during that wild ninth inning of Game 1.